WebNetInfo.com is America's news and information center for the 21st Century. WebNetInfo.com brings news, information, and commentary to the world. We realized that national news portals are void of local touch, flavor, information and interests; local portals are void of the magnitude and dynamics of what a national portal can offer. Therefore, we retooled our web design so that it can be duplicated for any city. Our national and world news gathering combined with local news, information and views, along with Internet Radio, HoTTalkRadio.com, make a much more desirable and interesting Portal. We are now in the pre launch stage of one of the biggest and most exciting dot com’s since national news portals, Yahoo and Google. 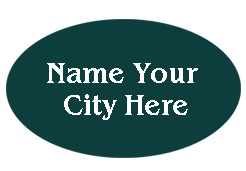 We have created a template that will allow us to duplicate a news and information portal for every city in the country at nowhere near the expense and time that it took to build webnetinfo.com. Our Internet Portals can be used to enhance an individual's present business; can become a very profitable business by itself, or both. They can also be used by religious and community service organizations. We seek to sell you one of our Internet Portals. It can have all the same features as webnetinfo.com and jeffersonwebinfo.com and clarksdalewebinfo.com. You own it completely. We have no control over your web site, and you can name it whatever you want. We have a list of over 200 national affiliate advertisers seeking to advertise on web sites that attract visitors. Discussing the possibilities with one of our consultants would be a wise investment of your time. There is an old saying that if something is too good to be true, it’s not. However, all great ideas and inventions were originally considered too good to be true; the train, automobile, telephone, airplane, cell phone, computer, Internet, Yahoo and Google. We provide a turnkey operation -- Full training, procedural manuals, forms and complete support. Our pre launch offers include special pricing, incentives, financing and no risk guarantees. All we ask in turn is for you to spread the word of your success, give us a list of successful professionals you know in other cities and give prospective buyers an honest evaluation of your experience owning one of our web portals. If we ask you to swap a hundred-dollar bill with a ten, you will either think we lost our minds, or the bill is counterfeit. A wise person would at least check out the bill’s authenticity. Yes, our idea and offer will sound too good to be true. Voice of America, Inc. has been around for over three decades; webnetinfo.com has been operational for almost a decade. There are only two reasons why an individual would not purchase one of our web portals – they didn’t take the time to read all the information herein, or they didn’t understand the information, and didn’t call to allow us to further explain or clarify the concept. Any successful business professional can afford one of our web portals. 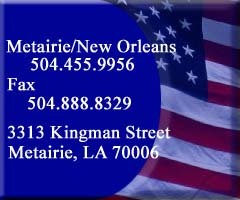 Contact us after you read the information herein - info@webnetinfo.com or (504) 455-9956. In the past, providing information to the public was originally limited to newspapers, then radio and then television. Now, the World Wide Web allows any individual and/or group to avail news and information to the world. Providing news and information to the general public is a very serious and important responsibility. An individual can obtain considerable credibility, authenticity and fame in the community by being the provider and operator of a professional and quality News and Information Portal. Take the time to read all the information herein. We can provide the up-linking, hosting, maintenance and R&D for the site. We can also provide all the national and world news gathering and publishing for the site. We provide a special section and links for you to provide the local news and information (obituaries, help wanted, swap shop, community calendar, high school scores and political to mention a few) to the site. You can also provide information about your existing business or profession. This information is already readily available and easily obtainable. We show you where to obtain it and how to upload it to your web site. The web site is data based driven. It has many functional areas. Each area has its own built-in editor to upload information, including pictures and graphics. Each page has its own privacy user code. The site provides full online user instructions. Anyone with Microsoft Word experience can easily make additions and changes to all parts of the web site. That's right, you don't need a professional Web Master or "IT" person on staff to manage or operate this web site. The buttons on the right side of this front page answers any questions that you may have. The right side of the front page can be used for placing advertisements. Ads in this area, along with those below the web site title banner, are sold based on the number of people who visit the web site. The left side of the front page can be used for information sources and advertising. The web site can accommodate as many informational pages as you may need. Please review all the active buttons on the front page for additional information.